Each year we take the quiet days of autumn to reflect on the programs from the previous summer, and look for opportunities to provide programming that best meets the needs and interests of our camp families. This past fall has been no different as we took a close look at our Leaders-In-Training and Trek programs and have made some exciting adjustments based on your feedback. 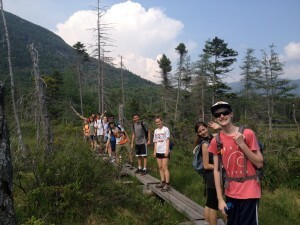 Teens love exploring the wilds of New England! Returning in summer 2016 is the much-requested 3-week program for second-year Leaders-In-Training! After the past couple of years of 2-week sessions for that group, we realized those teens (and their staff leaders) would really benefit from an extra week to take part in more advanced programs. We are calling this session “Leaders-In-Action” and it will include a longer and more involved off-camp trip, as well as the opportunity to develop and implement an on-camp service project from beginning to end. Applications for that program were sent out directly to previous LIT and Trek participants. If you weren’t a camper in 2015 or didn’t receive the application, no problem! Contact the office to request a copy of the Leaders-In-Action application. Leaders-In-Action are 16 years old and/or entering 11th grade in fall of 2016. Space in this program will be limited and applications received by January 1, 2016 will be considered together. 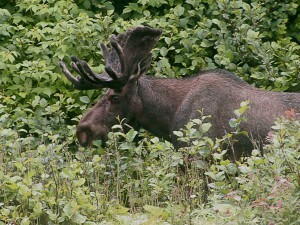 Moose and plenty of other wildlife await teens in the Great North Woods! In the Trek program, we have heard from many families that they are interested in a longer Trek option for teens seeking a more in-depth experience. A longer program gives the group a chance to develop stronger connections and explore the region further. This year, we are debuting a very exciting 2-week trip for teens who have participated previously in a Wildwood Trek. The new Trek is called “Discovering the Great North Woods” and has teens exploring the northern tip of New Hampshire where wildlife outnumbers people! Check out that Trek and other opportunities today on our program catalog. Thank you to everyone who joined us at camp in 2015 and we’re so excited to make 2016 the best yet! This entry was posted in staff, summer camp, year-round on November 10, 2015 by Welch Narron.